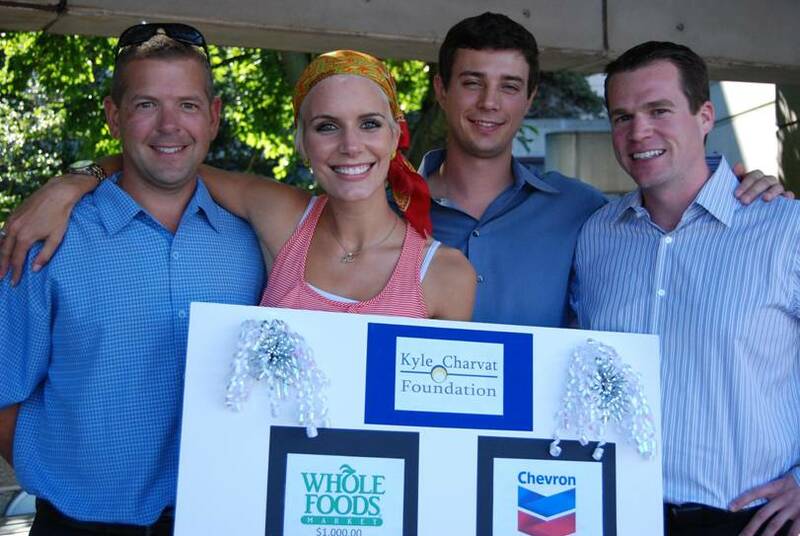 Kyle Charvat Foundation - Beneficiaries - Lindsay H.
Lindsay reached out the the Kyle Charvat Foundation in the spring of 2010 as she was undergoing treatment for a recurrent brain tumor. While she had medical insurance coverage for the treatments, the daily transportation costs of driving to and from UWMC as well as general expenses for groceries and basic necessities were adding up. We were able to provide Lindsay with gift cards to both Chevron and Whole Foods to assist with covering these expenses. One of the side effects of the radiation treatment that Lindsay received is sensitivity to natural as well as in-door light. There are specialized lenses that help reduce sensitivity, but the glass frames and lenses are costly. The Foundation sponsored purchase of both the frames and light sensitive lenses for Lindsay which made a big difference in her ability to comfortably adapt to various lighting environments. Again, thank you thank you thank you for all that you do...you guys are AMAZING, I hope you know that and how much your generosity has meant to me--I do not take it for granted. Have a great weekend!! Was just thinking of you and how generous you have been to me this last year...Thank you so much for all you do!! You invest in the lives of people that you don’t even know and I am more than grateful! I hope you all are enjoying this holiday season.